Amid everything Mamma Mia! at Strauss, we are extremely excited for our next season and you should be too! Our first show of the season is Godspell 2012 which is a masterful retelling of the original sensation, injected with contemporary references and dazzling new arrangements. 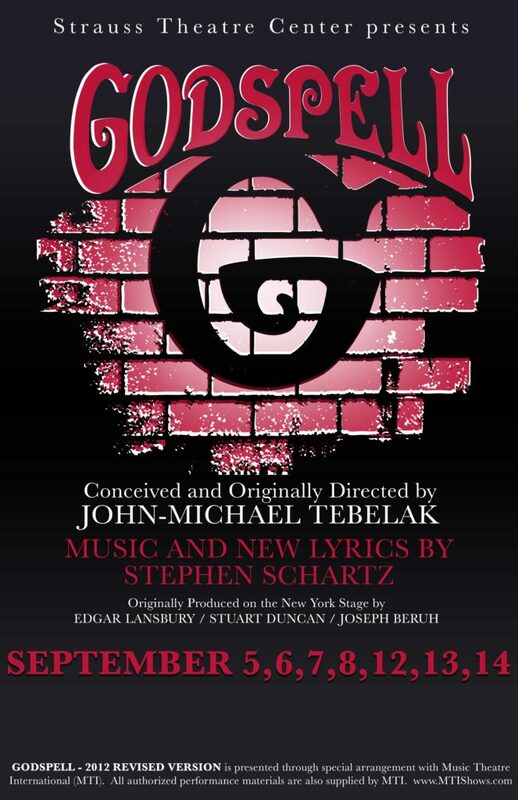 Godspell was the first major musical theatre offering from three-time Grammy and Academy Award winner, Stephen Schwartz (Wicked, Pippin, Children of Eden); and it took the world by storm. Join our new season today and SAVE. Secure your season package today and take advantage of Early Bird prices. Click HERE to order online or call Donna in our box office at 318.323.6681.